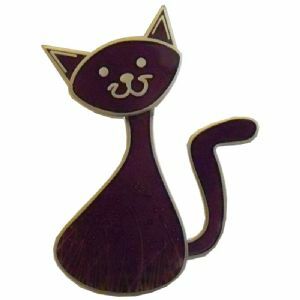 An elegant feline Geocoin. The front features a cute cat with a half raised metal meadow scene under translucent enamel. 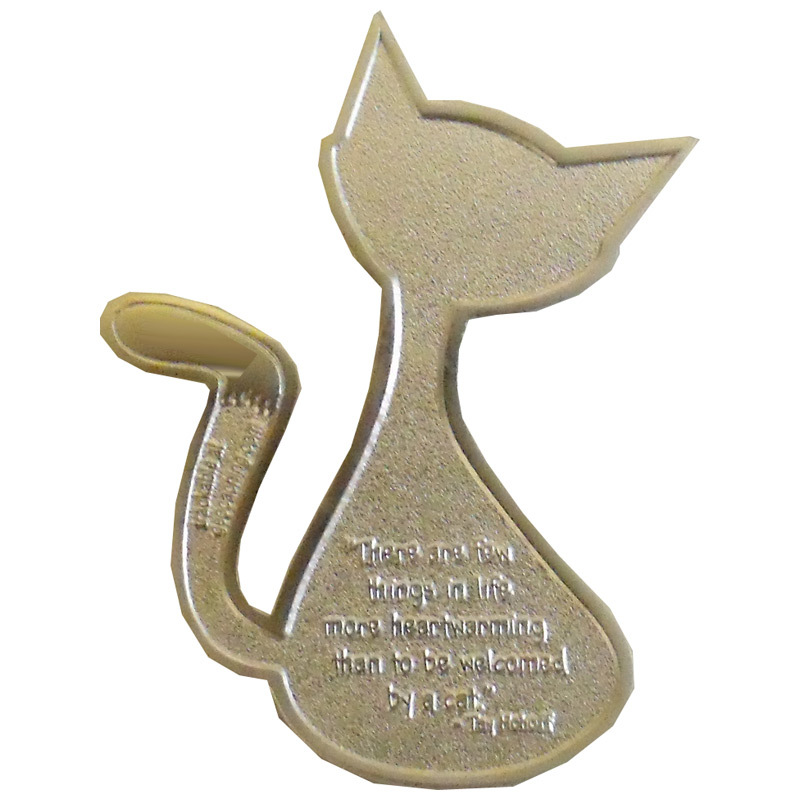 The back features the text "There are few things in life more heartwarming than to be welcomed by a cat – Tay Hohoff"